Would you like the assurance of knowing your dental health is all it can be? Is there an issue you have with your smile that you would like treated? Perhaps a missing tooth or teeth? Restorative dentistry performed by Dr. Braun at New Braunfels Dental Arts may be able to resolve all your concerns and give you the healthy smile you’ve dreamed of. At New Braunfels Dental Arts, we offer a variety of restorative dentistry procedures, including putting in a dental crown or a dental bridge to replace a missing tooth or teeth. We also offer the restorative dentistry treatments dental implants and dentures. A dental crown is a restorative dentistry procedure that can be used to repair a tooth that is cracked, chipped, or worn down. 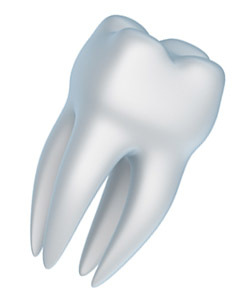 Your original tooth is shaped to put on a dental crown, and then the dental crown is placed on the original tooth. It is just like your regular tooth, but restorative dentistry makes it durable and long-lasting. You also never have to worry that the dental crown will get a cavity! Dental crowns do not require any special dental care except your regular oral hygiene regimen of brushing, flossing, and seeing your dentist regularly. A dental bridge is a restorative dentistry procedure that replaces a missing tooth or missing teeth. On the two teeth adjoining the gap in your smile, your dentist replaces a dental crown on each tooth. The dental bridge is then connected to those teeth with a dental crown on each. This dental bridge is made of durable material and is formed to look and feel just like your natural teeth. This restorative dentistry procedure is highly successful and can make your mouth feel full and complete again. Dentures are somewhat like a dental bridge but are removeable and secured to the gums with some adhesive. Today’s restorative dentistry makes dentures look just like natural teeth and can also make your mouth feel complete and full. Call Dr. Braun about his restorative dentistry treatments today!